Joe Strayhorn in Corvair #6000. Photo courtesy Dave Newell. In the months leading up to the final day of production for the Chevrolet Corvair, General Motors fielded calls from dealers, executives, and VIPs requesting a chance to buy the very last example of Chevrolet’s air-cooled wonder. Instead, Chevrolet just let it disappear, seemingly without a trace, shortly after the company assembled it 50 years ago. Yes, Ralph Nader figures into this story, but only twice. First, following the publication of Unsafe at Any Speed: The Designed-In Dangers of the American Automobile in 1965, Chevrolet — which had, prior to the book’s release, decided to discontinue the Corvair in 1967 to focus on the Camaro — decided to postpone the model’s demise until 1969 to avoid the appearance that Nader had bullied them into axing it. 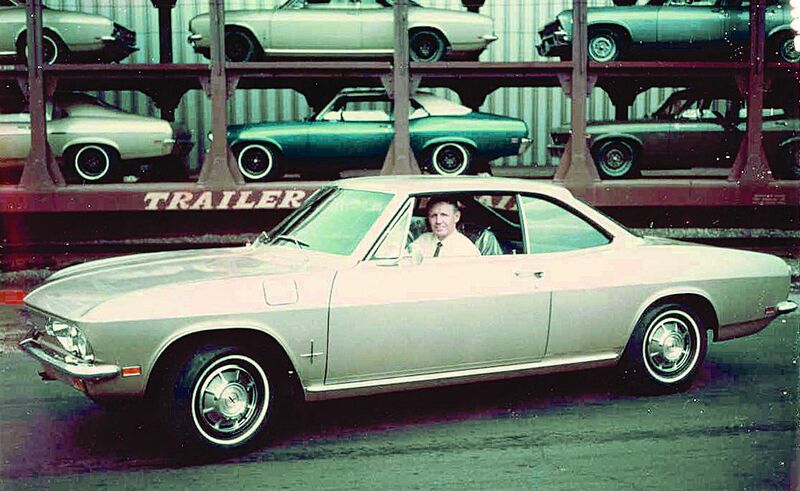 Thus, while most production automobiles peter out on a production line unnoticed by anybody save for the people building them, the scheduled final production day for the Corvair — May 14, 1969 — would draw national media attention. Reporters and photographers would watch alongside managers and executives as the last batch of Corvairs rolled out of the Willow Run Assembly Plant. They’d get to report that the next-to-last Corvair backfired and wouldn’t start, so it had to be pushed off the assembly line. Then they’d grab their photos of the very last of the 6,000 scheduled 1969 Corvairs, an Olympic Gold Monza coupe fitted with a 95-hp engine, Powerglide automatic transmission, pushbutton radio, tinted glass, whitewall tires, door edge guards, custom deluxe seat belts, electric clock, remote control rearview mirror, and rear window defogger. It carried a serial number of 105379W706000. However, as the press filed out of Willow Run and the last train to carry Corvairs away from the plant departed, plant workers rolled that Olympic Gold coupe away, into one of automotive history’s most enduring mysteries. 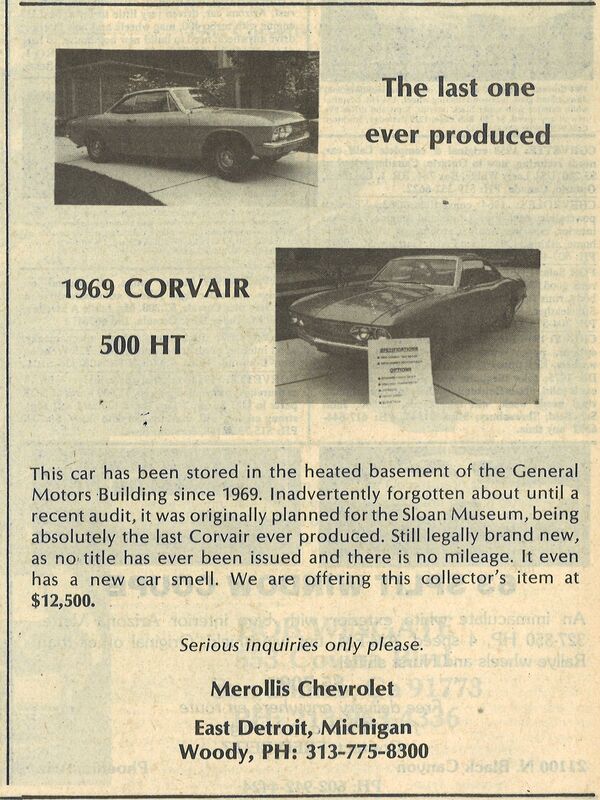 The press that day likely had no clue that Corvair #6000 had originally been ordered by one of the world’s legendary car collectors, Bill Harrah. As Mark Ellis and Dave Newell point out in their book 1969 Corvair Finger Tip Facts, Tacoma-based Chevrolet dealer John Wallerich placed the order for Harrah on April 1, specifying an Olympic Gold Monza coupe fitted with the 110-hp engine, Powerglide, Positraction, heavy-duty suspension and, of course, the very last VIN. Sometime in the next six weeks, former GM executive vice president Harold Boyer called up his old co-workers to place an order for the last Corvair, unaware of Harrah’s order. Once it became apparent that both men wanted the same car, GM and Chevrolet executives scrambled to figure out who exactly should get it. Corvair #5999. Photo by Alan Winston. By May 12, Chevrolet executives just decided to keep it. They arranged to give #5999, a LeMans Blue Monza coupe (the one that had to be pushed off the line), to Boyer, and #5968 to Harrah along with a second, much earlier, Corvair (#5606). Harrah’s #5968, which remains in the National Automobile Museum in Reno. Photo courtesy the National Automobile Museum. Roche, as Newell wrote, didn’t want a lot of attention paid to the last Corvair, and Chevrolet Manufacturing Manager Jim McLernon reportedly promised to Roche that the car would never be sold as long as he remained with the company. He kept his word, too; in his time at GM, #6000 didn’t exchange hands. Exactly how he kept #6000 from appearing on an invoice, however, remains unknown. One oft-repeated tale has a mysterious van picking up #6000 and spiriting it away from Willow Run. Another has it going to an unnamed GM director or vice president. Most people Newell spoke with, including Charlie Trabandt, who was in charge of material control at Willow Run, told him that #6000 got scrapped, though by whose order or when or where nobody seems able to answer. McLernon himself, however, may have a more satisfying answer, one that brings Nader into the picture again. 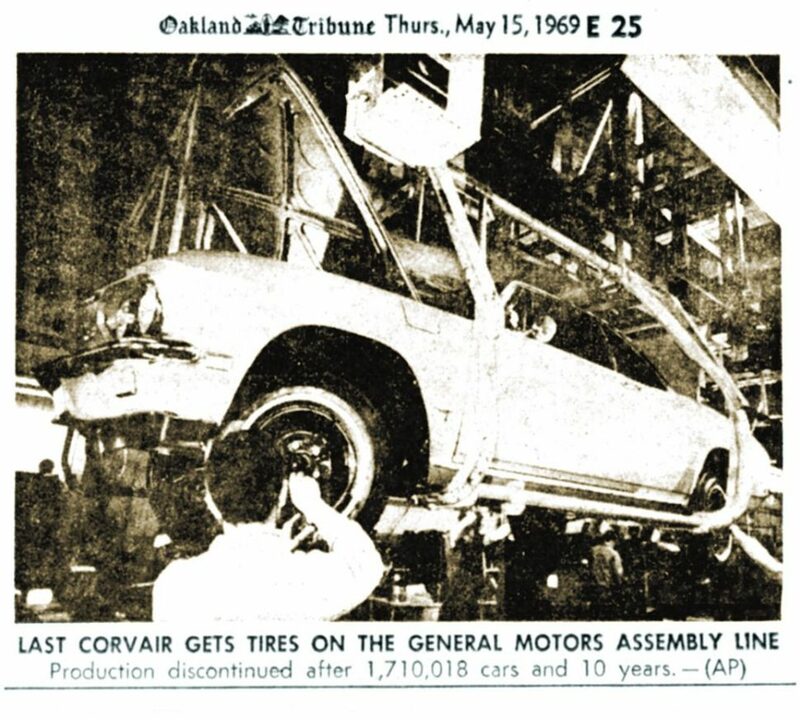 As he related to Newell, about 10 to 20 fully assembled Corvairs remained at the plant after the last day of production, and McLernon helped shuttle them to the roof of GM’s Assembly Research building in Flint. 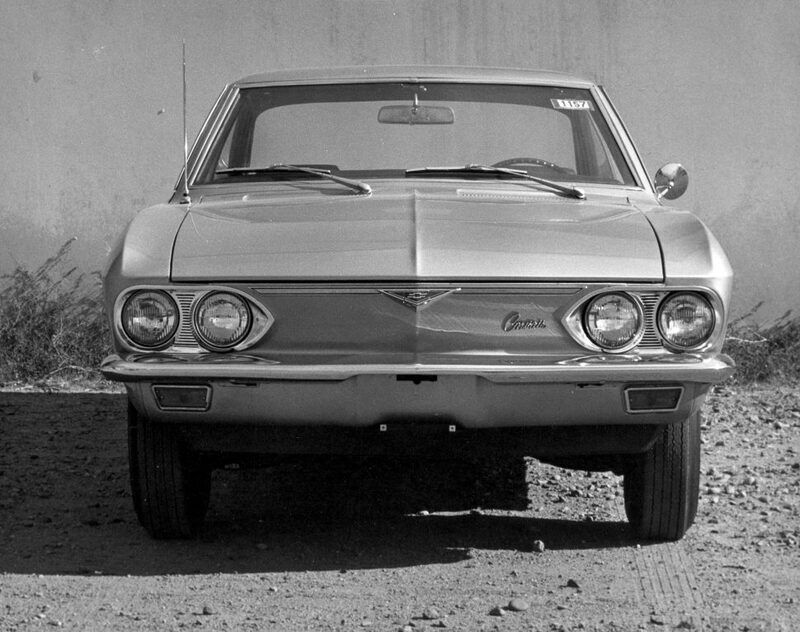 Over the years, several other late-production Corvairs have popped up onto Corvair collectors’ radar. 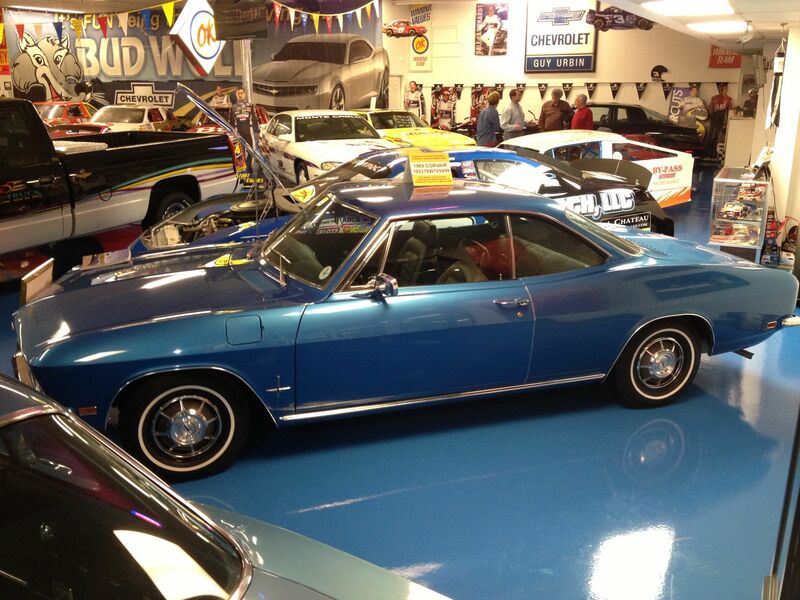 Boyer’s #5999 now resides in the Corvair Museum in Decatur, Illinois, as does #5997, the last Corvair convertible produced, and an unnumbered Fisher body shell produced after #6000’s body shell but never assembled into a complete car. A number of other late-build Corvairs (among them #5996, #5995, #5994, #5989, #5988, and #5984) have been documented by the Corvair Society of America, though #5998 remains in the wind, as does any documented evidence as to the fate of #6000.